November 11, 2010 - Rolls-Royce, the global power systems company, has won an order worth $1.2bn, at list prices, from China Eastern Airlines for Trent 700 engines to power 16 Airbus A330 aircraft. The order includes a TotalCare long-term service agreement. Rolls-Royce and China Eastern Airlines have also formed a Carbon Partnership, which aims to reduce CO2 emissions by 190,000 tonnes in its first year. The partnership will see Rolls-Royce provide a fuel management service for the airline?s fleet of more than 300 aircraft. 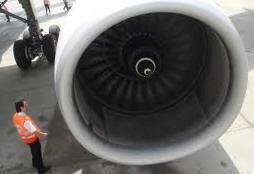 It will also supply enhanced performance kits to upgrade the Trent 700 engines on China Eastern Airlines? 20 existing A330s. China Eastern, which will bring its new A330s into service from 2011, was the first airline in mainland China to use Trent technology when it received Trent 500 engines for its Airbus A340 aircraft in 2003. Steve Miller, Rolls-Royce, Civil Aerospace Vice President ? China, said: ?We are delighted that China Eastern continues to put its trust in our leading-edge Trent technology underpinned by a TotalCare support package that offers operational and performance benefits. We also look forward to assisting China Eastern in its efforts to reduce its environmental impact.? Liu Shaoyong, Chairman, China Eastern, said: ?We have found the Trent 700 to be extremely effective in service and are pleased to select it for our latest aircraft. We also look forward to working with Rolls-Royce through our Carbon Partnership which we anticipate will reduce fuel consumption by at least two per cent in its first year alone, the equivalent of a 190,000-tonne reduction in CO2, which equates to the amount of CO2 produced by 80,000 cars over the same period.? The Trent 700 is the only engine specifically designed for the Airbus A330 and over 1,000 are now in service or on firm order. The engine remains the market leader for the aircraft, capturing 75 per cent of orders over the last three years. The engine offers outstanding levels of performance and delivers the best payload capacity. The China Eastern fuel management system will be provided by Optimized Systems and Solutions (OSyS), a wholly-owned subsidiary of Rolls-Royce and world-class supplier of asset optimization and decision support systems and services. The OsyS fuel management service was launched in 2009 and has already been selected and implemented by several airlines, including Qatar Airways and easyJet. China Eastern Airlines is an airline headquartered on the grounds of Shanghai Hongqiao International Airport in Changning District, Shanghai, People's Republic of China. It is a major Chinese airline operating international, domestic and regional routes. Its main base is Shanghai Pudong International Airport, with a hub at Shanghai Hongqiao International Airport. Rolls-Royce employs 39,000 skilled people in offices, manufacturing and service facilities in 50 countries. The Group has a strong commitment to apprentice and graduate recruitment, and to further developing employee skills. In 2009, Rolls-Royce invested ?864 million on research and development, two thirds of which had the objective of further improving the environmental aspects of its products, in particular the reduction of emissions. Annual underlying revenues were ?10.1 billion in 2009, of which about half came from services revenues. The firm and announced order book stood at ?58.4 billion at 30 June 2010, providing visibility of future levels of activity.